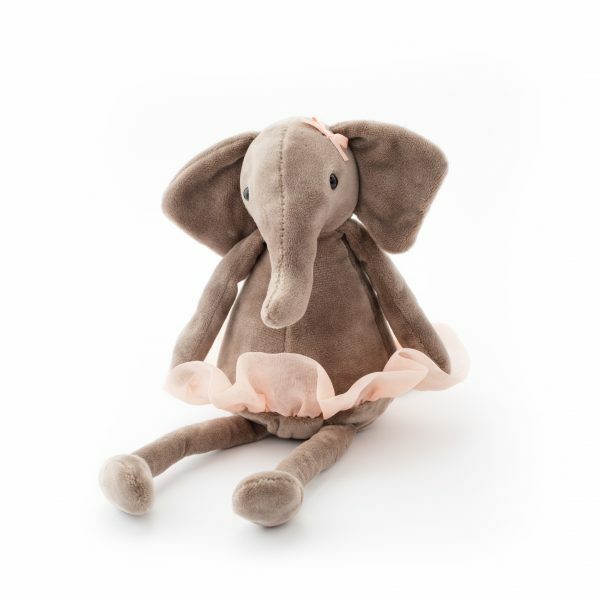 Jellycat Darcey Dancing Elephant believes everyone can dance! 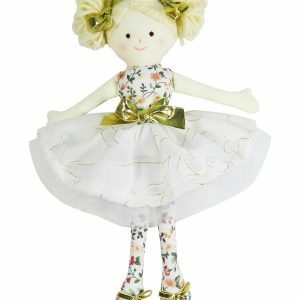 This soft little star has a gorgeous peach tutu and satin shoes tied perfectly. 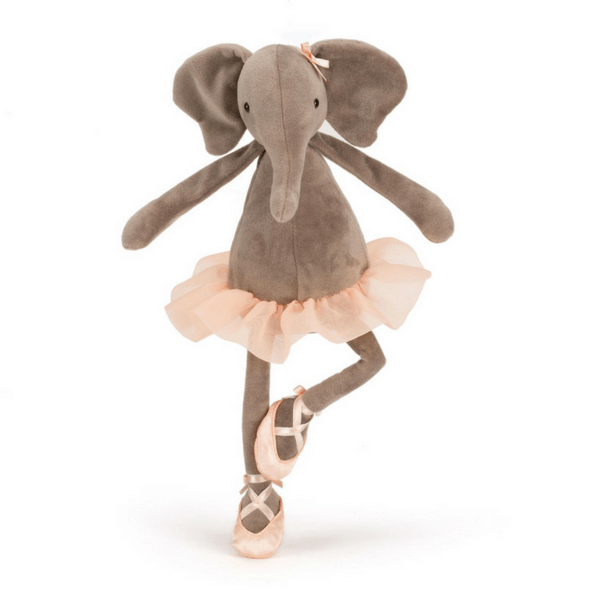 Short cocoa fur and long, long legs make a very cute dancer indeed, and we love those soft ears and squishable trunk. 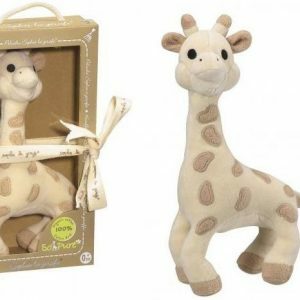 So whether you’re a mini-Pavlova or a budding Billy Elliot, we’re sure you can show this elly some moves!